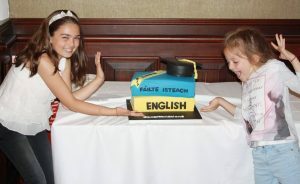 On Thursday June 15th the 2016- 2017 Graduation Ceremony for the Carlow Failte Isteach Programme took place in the Seven Oaks Hotel. 22 different nationalities were present to see Certificates presented by Jim Deane, the Lord Major of Carlow to 45 students who had completed the Programme in the past year and to hear encouraging words from Pat Deering TD and Micheal Brennan, Chief Officer at Carlow County Council. 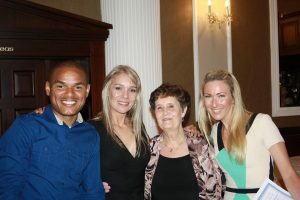 There were also inspiring and moving testimonials from Zena and Jason, two of the volunteer tutors on the programme as well as from some of the participants themselves. There was also a lovely musical ending to the evening with Beiba, one of the students, performing two songs for the assembled group. “In its essenc e, migration is an expression of a desire for happiness and quality of life which is proper to every human being, a happiness that is to be sought and pursued. And now in Ireland we are in a position to offer a welcome to people coming to us in search of a better and happier life, and to accompany them on that very human quest. One of the goals of the SICAP programme is to support people on their journey towards personal development and greater participation in the social and economic life of Carlow. And the way we like to do this in Carlow County Development Partnership is by supporting those members of the Carlow community who are motivated to work for greater inclusion and, in the case of Failte Isteach, to welcome people who have come to Carlow in a very practical way, by helping them with their English.